New Rotary District Governor Jim Ross brought us news of his visit to the International Assembly earlier this year and enthused us with the Rotary President Barry Rassin's theme of 'Be the Inspiration. Jim was speaking to us on Thursday 16th August. We were pleased to welcome Rotary District Governor Jim Ross to our weekly meeting at the Park Hotel on Thursday. 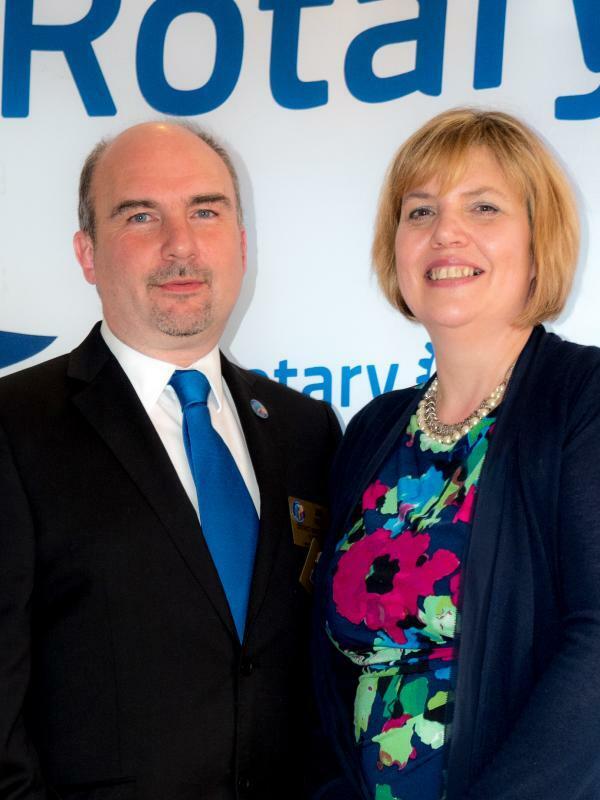 Jim Ross is a member of Dunoon Rotary Club and is an Accountant by profession. He is a past District Treasurer. His wife, Elaine - also a member of Dunoon RC - is the current District Membership Convenor. Jim discussed the theme for the new Rotary year, Be the Inspiration, and described some of the fantastic work being done by clubs around the West of Scotland district. He stressed the importance of letting people know what Rotary does for the community, the wider world and for individual members in terms of development, networking and friendships, and the importance of attracting new members. Jim also discussed his chosen charity for the year, WheelPower, the national charity for wheelchair sport. The photograph shows DG Jim Ross, centre, with Kilmarnock club president Ian Geddes and member George English.